A stroke of night magic! 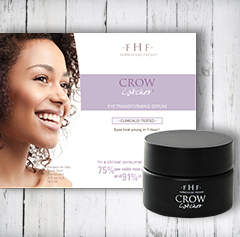 The texture of this cream is so thick you�ll feel a noticeable protective barrier, allowing the retinol and peptides to work uninterrupted while you toss and turn at night. Retinol (Vitamin A), Advanced firming peptide, Coconut Milk, Milk Thistle, Milk Vetch, Panthenol (Provitamin B5), Vitamin K2. 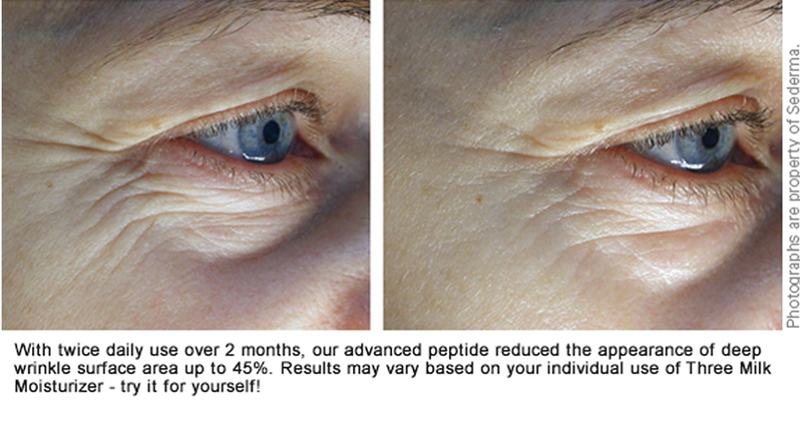 Retinol (vitamin A) is wrinkle-smoothing & firming, and an antioxidant, improving visible signs of aging. Helianthus Annuus (Sunflower) Seed Oil, Caprylic/Capric Triglyceride, Glycerin, Lindera Strychnifolia Root Extract, Hydroxyethyl Acrylate/Sodium Acryloyldemethyl Taurate Copolymer, Sodium Hyaluronate Palmitoyl Tetrapeptide-7, Palmitoyl Oligopeptide, Retinol, Polysorbate 20, Panthenol, Cocos Nucifera (Coconut) Fruit Extract, Silybum Marianum (Milk Thistle) Extract, Astragalus Membranaceus Root Extract, Carbomer, Butylene Glycol, Polyurethane Crosspolymer-1, Glycine Soja Oil, Xanthan Gum, Acrylates/C10-30 alkyl Acrylate Crosspolymer, Allantoin, Disodium EDTA, Menaquinone (Vitamin K2), Allantoin, Phenoxyethanol, Sodium Hydroxide, Ethylhexylglycerin, Hexylene Glycol. *This product is fragrance-free. Suitable for all skin types to reduce the appearance of fine lines, wrinkles, dull skin tone, and loss of firmness. Contains retinol. If you are pregnant, breastfeeding, or trying to conceive, contact your doctor before using this product. Apply a thin layer to face, neck and eye area as the final step in your nighttime routine. I've been using this moisturizer for about a month. I really wanted to love it but it pills and 'rolls' off my face. I though maybe I was using to much, but less didn't make a difference. I have never had this problem before so I assume this product just does not agree with me. It's a great consistency and light smell so I am really disappointed that it isn't going to work for me. I have used other Farmhouse Fresh products and love them but not this one. 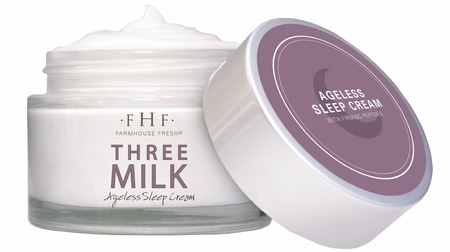 FarmHouse Fresh:Hi Tracy, we're so sorry to hear about your experience with Three Milk Sleep Cream! This moisturizer comes with a barrier film built in that seals the product and any other serums you might have used under it, so it won't remove from your face as you sleep and is not meant to be rubbed into complexion too much, because of this we refer to Three Milk Night as as our sleep cream. If you prefer a lighter consistency cream that your skin soaks right in, we suggest you try our Three Milk Ageless Moisturizer that can be used morning and night. My skin is so soft! I've been using every night and my face feels and looks so smooth. This is a wonderful product. 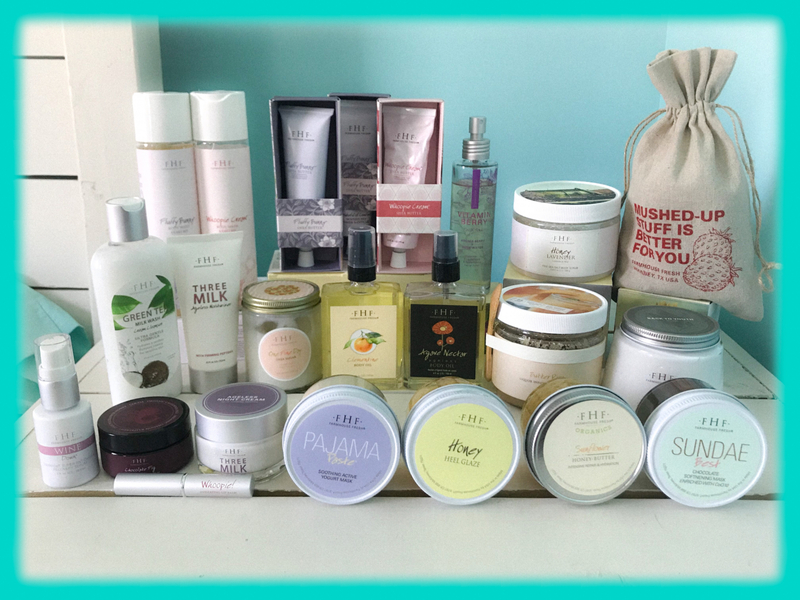 At 51 years old, I've finally found a skin care line that I love. I love putting this on after the chocolate fig vitamin recovery serum and a bit of the Wine Down serum for an all night moisture treatment! My skin feels amazing in the morning!! 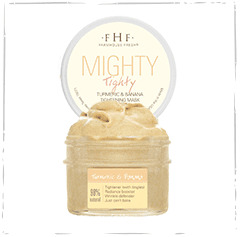 Love all the FHF products!! Can't say enough great things about them! The pic below is my current FHF lineup, with more on the way!! I absolutely love the Three Milk Moisturizer and decided to try the night cream. It's a bit too heavy and sticky for my liking. A tiny bit goes a long way but it feels like it just sits on your skin and doesn't soak in. Even my hands feel sticky after applying it and I have to wash them twice to get it off. Might be great for someone with extremely dry skin but just too heavy for me. Let me start by saying that I've spent hundreds of dollars on trying to find a night cream that both moisturizes AND reduces the fine lines I'm getting. To add a challenge to this, I also have incredibly sensitive skin. So anything that typically works for other people is off the table for me. I purchased this on a whim, after considering it for a while because the price isn't exorbitant and even if it didn't work, I figured I wouldn't be out of a whole lot of money. But WOW! I'll never use anything else again! This creates some type of barrier on my skin, and goes to work overnight while I'm sleeping. In the morning, my skin feels so silky smooth, and after using this only for 5 days, I can already tell a difference in the "elevensies" between my eyes. THANK YOU! I have been using this night cream for the last three months and you can see a difference immediately. I loved it so much that I bought it for Christmas gifts for my mother and mother in law!